2.Redecorate your chairs,changed the look of your table set.Give your dining room a whole new look. 1. Due to the light and screen difference, the item's color may be slightly different from the pictures. Please understand. Make sure you don't mind before you bid. 2. Please allow 1-2cm differences due to manual measurement. HIGT QUALITY MATERIAL.90%polyester 10%Spandex.No have any chemical smell. 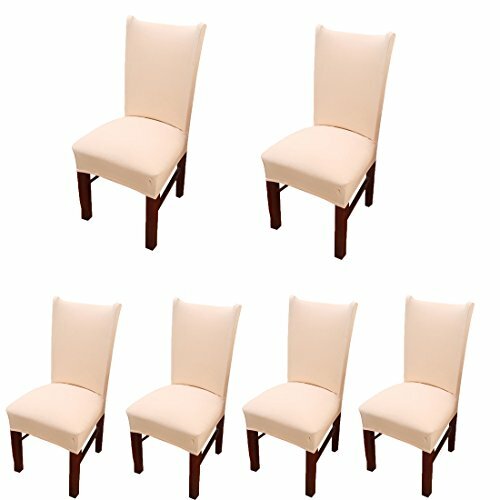 NICE DECORATION.Dining chair slipcovers can redecorate your chairs,changed the look of your table set.Give your dining room a whole new look. CONVENIENT TO USE.Super easy to put and they stay on very well. If you have any questions about this product by Deisy Dee, contact us by completing and submitting the form below. If you are looking for a specif part number, please include it with your message.